Major is originally from Lewisburg, TN, where he played four years of varsity football for Marshall County High School. Coach Tripp holds a BS in Human Health and Performance from the University of Tennessee at Martin. While at UTM, Coach Tripp served as a student manager and coaches assistant for the Skyhawk football Program for four years. Major is currently in his second year with the Centennial High School Football team serving as the Strength and Conditioning Coordinator, Kicking Coach, and Freshman assistant. Major is a Certified Personal Trainer through the National Academy of Sports Medicine. 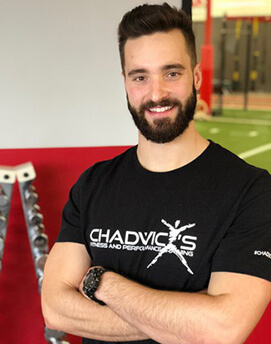 As a personal trainer, he has worked with a large variety of individuals with different fitness goals and numerous athletes competing in volleyball, competitive cheering, basketball, baseball, and soccer. Major is very passionate about helping people and leading in this field. He loves to learn and grow and share all that he knows with people to help them reach their goals.